Jamaica is one of the most beautiful island in the Caribbean and it's perfect for your destination wedding. There are so many exquisite wedding venues to choose from in places like Montego Bay, Negril, Ocho Rios, Treasure Beach Kingston and Port Antonio. 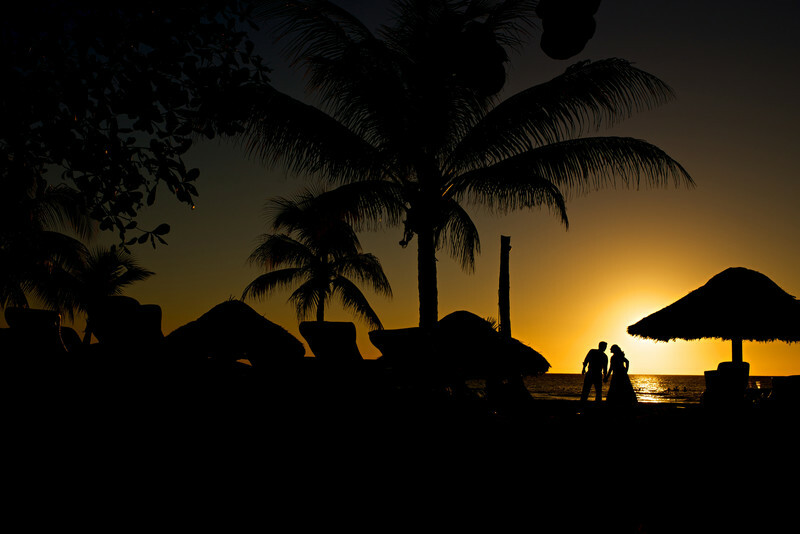 Essentially you will be getting married in a tropical paradise and you can choose to say your vows on alluring beaches or surrounded by lush vegetation. 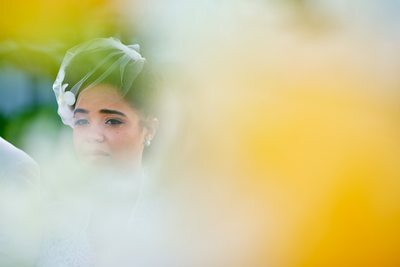 A photograph of a quiet moment, love, laughter and tears are just as important to us as a portrait of the bride and groom, family photos, details, your guest and dancing. 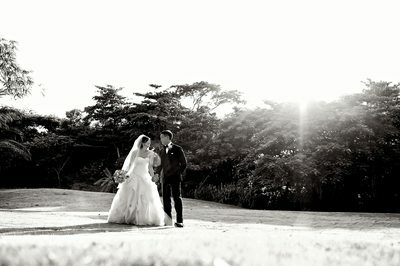 We strive to capture it all, thus preserving the memories of your wedding for generations to come. Should you entrust your destination wedding in our hands rest assured that you will get photographs of the highest quality and a team of photographers that care about your experience. We are proud to be the best wedding photographers in Jamaica and you will not be disappointed if you select us as your Jamaica destination wedding photographers. Montego Bay is a tourist mecca with many wonderful hotels and villas to choose from for your wedding ceremony and reception. 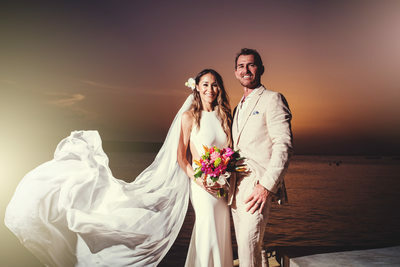 Home to some of the most talented destination wedding personnel you will readily find Jamaican wedding professionals who can turn your wedding dreams into romantic realities. Home to one of the best airport in the world, sangster international airport, most hotels and villas are within thirty minutes drive so you will be unpacking and enjoying what the city has to offer in no time. Montego Bay is our home and you will not go wrong by choosing us as your wedding photographer in Montego Bay. Negril is the capital of casual and undoubtedly where the phrase "no problem" comes from. The seven miles long Negril beach and the cliffs of Negril are legendary and boast some of the best wedding venues in Jamaica. There are large all inclusive hotels as well as smaller hotels and villas on the beach. On the cliffs you will find boutique hotels and villas which offer easy access to waters good for snorkelling and diving, with jumping points off the cliffs reaching more than 40 feet. Just about an hour and thirty minutes away we will travel to Negril to photograph your Wedding at no extra cost. The home of eight rivers (that's how the town got it's name) once a fishing village but now a major tourist stop over destination and a port of call for cruise ships. Ocho Rios boast restaurants and night clubs and is home to the famous Dunn's River Falls and Fern Gully which is a major point of interest. We have photographed many Weddings in Ocho Rios so do not hesitate to book us for your Ocho Rios Wedding. 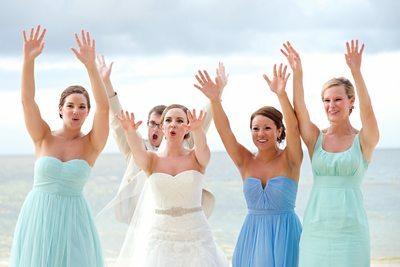 There is no travel fee or accommodations required for weddings in OchoRios. Jamaica's "best kept secret" known for it's natural beauty and laid back attitude Port Antonio wedding venues are some of the best the Island has to offer. The town in which tourism and the banana trade began in Jamaica is know for the Blue Lagoon, Trident Hotel, Trident Castle, the ruins of Folly Mansion, Reach Falls and rafting on the Rio Grande however there are many quint villas available to host your wedding celebrations. 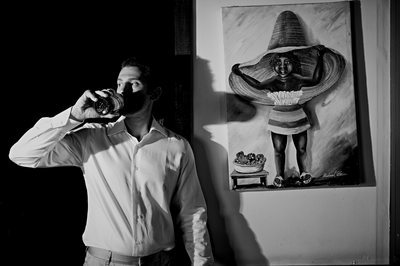 Approximately three hours and thirty minutes from Montego Bay we do charge a travel fee to photograph weddings in Port Antonio. We also require two nights accommodations as we do not wish to travel so far on your wedding. Located on Jamaica's South Coast Treasure Beach is approximately two hours and thirty minutes drive from Montego Bay. There are a number of coves and bays and the shoreline tends to be rocky however there are are also white and black sand beaches. 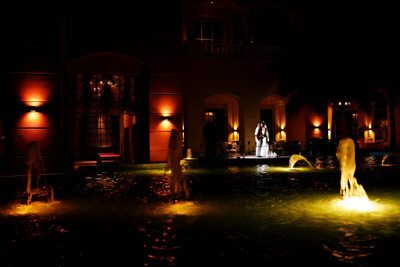 There are a number of hotels and villas that are just heavenly for weddings or family photo shoots. Because of the distance from Montego Bay we charge a travel fee and require accommodations for weddings in Treasure Beach. The capital and largest city in Jamaica is home to quite a few wedding venues. The very popular Strawberry Hills located in the Blue Mountains is a romantic getaway about forty five minutes drive from Kingston. Due to travel distance from Montego Bay we do charge a fee and we also require two nights lodging. 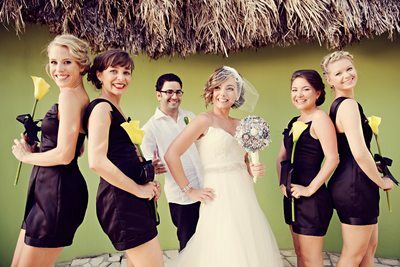 Saab Weddings boast one of the best team of wedding photographers in Jamaica. Located in Montego Bay they travel to various locations in the island to photograph your Jamaica destination wedding. Popular hotels for weddings in Montego Bay includes Half Moon Resort, Round Hill Resort and Tryall Resort where Saab Weddings are authorised vendors at these hotels so you would not pay a vendors fee for using their services. 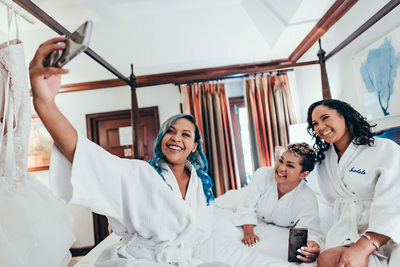 Should you use our Jamaica wedding photography services at RIU Montego Bay, RIU Reggae or RIU Palace Jamaica there is no vendors fee as the authorised photographers at these resorts is our affiliate. We also photograph weddings in Montego Bay in hotels such as Iberostar Suites Rose Hall, Iberostar Grand Rose Hall and Iberostar Beach Rose Hall, Hyatt Ziva Rose Hall and Hyatt Zilara Rose Hall as well as Jewel Grande Resort. They also shoot weddings at Royalton White Sands and Royalton Blue Waters as well as various villas in the Montego Bay area. Photographing weddings is a fun and rewarding job. There is a saying that goes something like if you earn a living doing what you love then it's not work. We can testify that this saying is true. 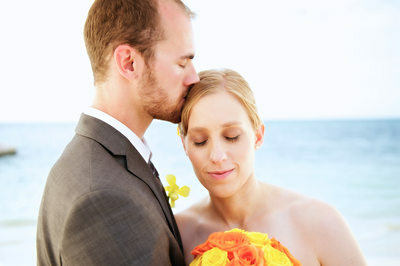 We absolutely love photographing weddings in Jamaica. It's such a beautiful island with many wonderful wedding locations and delightful people. Whether you are getting married in Negril, Montego Bay, Ocho Rios, Port Antonio, Treasure Beach, Kingston or any where in Jamaica let Saab Weddings be your wedding photographer of choice!